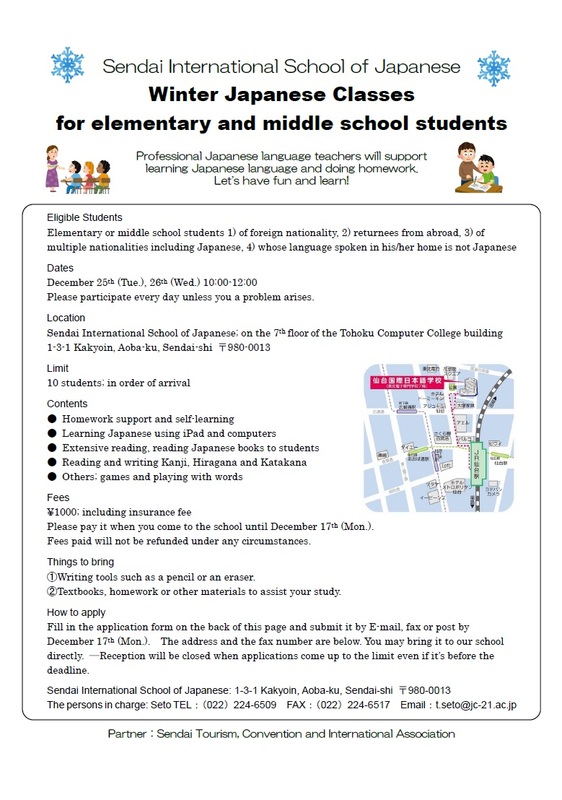 Sendai International School of Japanese will be hosting “Winter Japanese Classes for elementary and middle school students” from December 25th and 26th. SenTIA is supporting this program. There are spaces for 10 students. The fee is 1,000 yen. 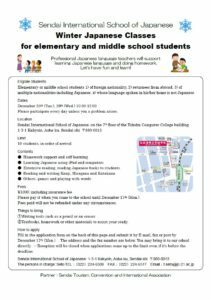 Let’s all have fun and learn Japanese! How to apply: Fill in the application form and submit it by E-mail, fax or post by December 17th (Mon. ).